Today there is a hole in the world of technology. Steve Jobs left this world yesterday for a better place. He also left this world a better place. As I drove to work this morning, while stopped at a traffic light at a busy intersection, I thought how he had probably had an impact on every person in my line of site in some way shape or form. What would our world be like today if he had never been born? I can assure you that it would be vastly different than it is today. May your family find comfort in knowing you are now heaven's chief visionary and free from pain. 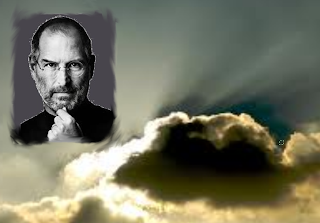 RIP Steve Jobs!